Randy Wolbert, LMSW, CAADC, CCS is a DBT trainer with Behavioral Tech. Randy has been practicing DBT since 1995 and was a contractual trainer with BTECH since 1998 and transitioned to a full time trainer/consultant in 2015. Randy trains and consults widely throughout the United States and Canada, assisting with several large scale public mental health system implementations. 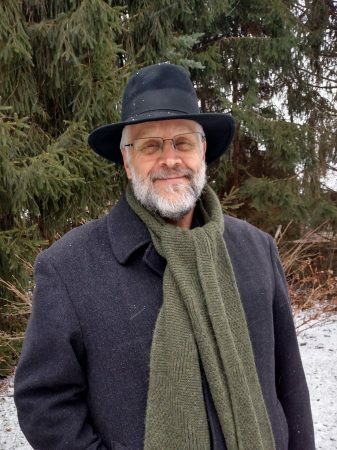 Prior to joining Behavioral Tech full-time, Randy served as Clinical Director of InterAct of Michigan for 25 years, and had responsibility for the clinical and administrative oversite of Assertive Community Treatment (ACT), DBT, Integrated Dual Disorders Treatment and outpatient substance abuse. While learning and practicing DBT, he began independent mindfulness practice and later became a Zen student of Marsha Linehan. He has attended numerous Zen retreats. He also is engaged in further study of Zen with Greg Mayers, Rōshi, at Mercy Center of San Francisco. Randy has held mindfulness workshops teaching applications for personal and professional practice in University and clinical settings including Chile and Argentina. He has also lead several mindfulness retreats (Zen Sesshins). Randy was recognized by Willigis Jaeger as a Zen teacher in 2016 and was confirmed as a Zen teacher (Sensei) in 2018 by Marsha Linehan. He has been granted permission to take Zen students, give Zen dharma talks, and lead Zen Sesshins. Recently, he authored the chapter, “Modifying behavior therapy to meet the challenge of treating BPD: Incorporating Zen and Mindfulness.” In M. A. Swales (Ed). Oxford Handbook of Dialectical Behaviour Therapy. Oxford: Oxford University Press.